Those who read The Kollection in its early years likely remember the frequency to which we posted about Mac Miller. We grew alongside him and fell in love with his goofy smile. This piece is written by a new staff-writer, Max Passion, in conjunction with Kian McHugh who was with The Kollection during those years we wrote on and obsessed over Mac Miller, Delusional Thomas, EZ Mac, Larry Fisherman, Larry Lovestein and The Velvet Revival. We took the weekend to reconcile, sought to stray from the often depressing and sensational coverage of this tragedy, and hope you find a sense of catharsis in interacting with and reading this article. Mac Miller passed away today on September 7, 2018 at the age of 26 fulfilling his wish on Brand Name that he not join the 27 club in the most depressing way possible. While these crafty bars once seemed innocent enough and were written off as yet another glorification of substance abuse by a youthful rapper, Mac’s death has proven extremely sobering and has left everyone from the greats to the newcomers of the music community in shambles. It seems that few other artists have inspired such a wide range of individuals- from playwrights, to athletes, to the the most notable musicians of our time. Mac had just announced a tour with Thundercat and was just over a month out of the release of his beautifully atmospheric and honest album “Swimming.” The album marked yet another innovative avenue from the Pittsburgh native and proved he was still highly capable of fresh ideas. His tour was reported to be all that was on his mind and those who attended his final performance at Hotel Café (see below) reported that it would have been an unforgettable experience. An album like Swimming, and especially amidst such tragic events, leads listeners to look back and realize just how immersive, diverse, and complex Mac Miller’s discography really is. 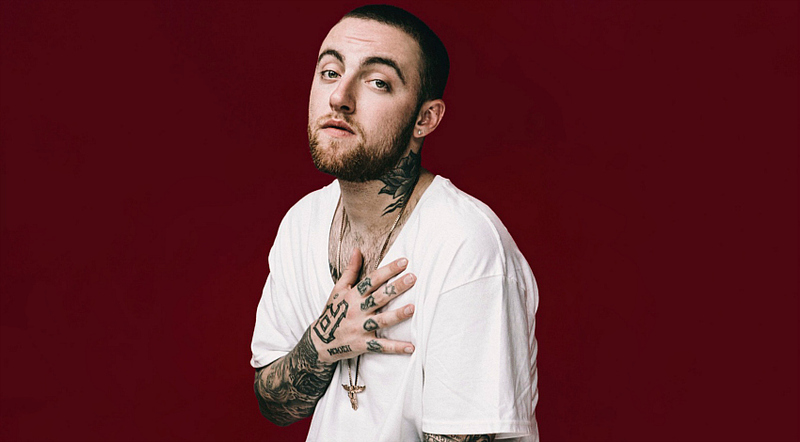 Along with 8 commercial projects available to stream, Mac had over ten mixtapes, two EP’s, a dark mixtape under the demonic alter ego Delusional Thomas, a soul project under the moniker Larry Lovestein and the Velvet Revival, as well as countless separate music videos and collaborations with notable artists. All of his work in its own right goes beyond just a surplus of ideas and more so illustrates just what a complex and deep artist Mac Miller really was. His legacy leaves so many highs and lows, experimentations, different characters, nooks and crannies. To watch the evolution of Malcolm McCormick was truly incredible. 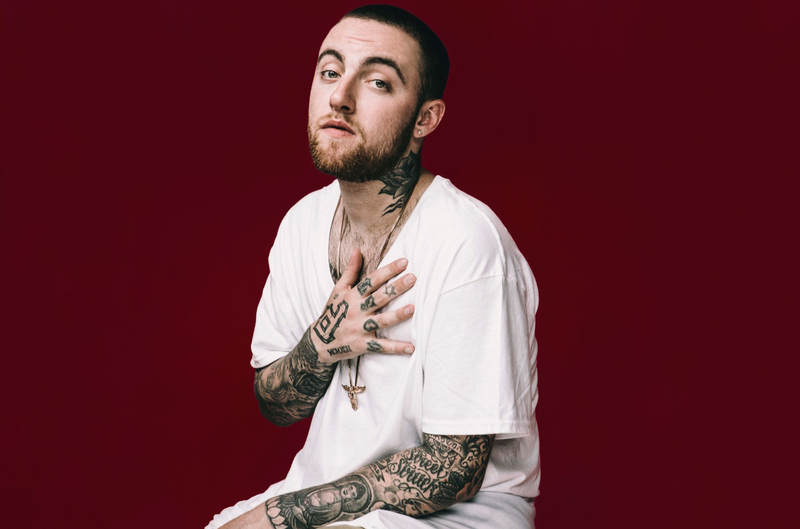 His young and fun beginnings as a white party rapper left some dismissing him and his artistry immediately; it took years for Mac to prove to the world what he was really capable of. Perhaps only now do we really understand. As Mac and his audience alongside him grew older, we saw his music take more and more creative and unexpected turns. As each of us dealt with our own issues that come with age, we were presented with deeper lyrics dealing with addiction and mental health, psychedelic landscapes, lush grooves, and complicated personas. We saw a wounded and vulnerable crooning in darker work like Faces, and we celebrated love and self realization in later work Divine Feminine. Such ups and downs on display for his audience made his career one that felt extremely personal, leaving fans now with a daunting sense of emptiness and lack of personal direction. Mac Miller’s music left an extreme sense of raw authenticity. Even his most surface level music gave an amazing sense of genuine fun rather than commercial scheming, and his deepest words felt like a one on one conversation. Many felt as if Mac Miller was a close companion; his music helped listeners through good times and bad, leaving all of his thoughts and emotions on the table for us to work with. In person, records of interviews and live performances were bubbly and engaging. The common consensus amongst his peers was seemingly nothing but positive, he was a strong light that would bring love and uplifting energy anywhere he went. Truths like these serve as a constant reminder that, as his music constantly blurred the lines of artist and companion, we have lost not only an artist, but a wonderful human being. Mac Miller’s “Best Day Ever,” mixtape- alongside the title-song -was released in 2011, marking a huge upward step into the mainstream and beginning of a massive rise to prominence. The mixtape’s title track was paired with a music video, which shows home footage of a young child Malcolm McCormick joyfully performing the opening verse to Sugar Hill Gang’s “Rapper’s Delight,” in his living room. It is here, for a few brief fleeting moments, where we can see the essence and energy of Mac Miller in its’ purest form: carefree, lively, honest, and loving. Despite the test of time and dynamic changes that we as an audience have been privileged to witness, this gorgeous spirit of youth has always been present, navigating the complex world of music, drugs, love, and life. It is pure moments like these that will define Mac Miller and his lasting legacy as just that, beautiful, expressive, honest, pure. I never thought my first post on Mac Miller since relaunching would also likely be my last. I’m sure hundreds of articles would have been written on Mac and his music as he continued to innovate and inspire. There were so many direction’s that one could write about Mac Miller’s life and death- most chose to speak of substance abuse and celebrity culture while these were not on our prerogative. With so many young artists passing, it goes without saying that there are issues beyond our belief in this country. For now, the grief in knowing I will never see Mac Miller again or hear new content which points to his unwavering growth and innovation remains heavy enough that I will reconcile through therapeutic re-listening sessions and taking the time to remind those friends who grew up on Mac beside me that I will never forget him. For The Kollection, Mac will be remembered as a lost friend and thus we sought to write about him as such. Rest in paradise Malcolm McCormick.